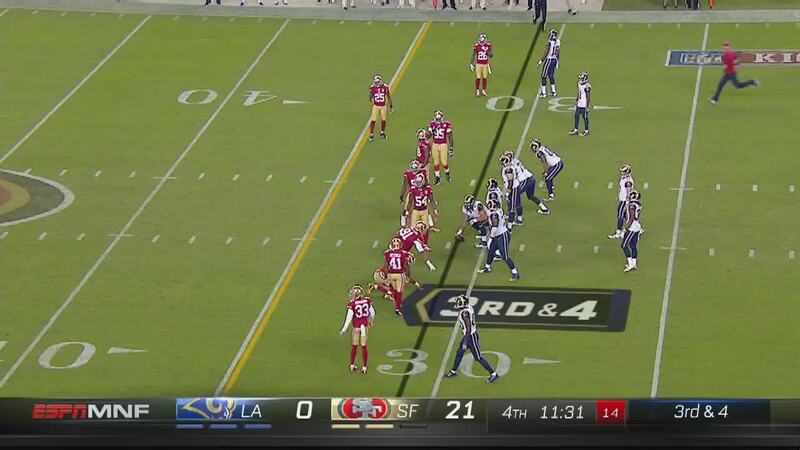 The second part of the MNF doubleheader was rough as two million punts and Chris Berman did NOT go well together. But then a few glorious things happened and those of us who endured an awful football game were rewarded with lightning in a bottle when these three things happened. –A fan ran onto the field/around on the field and security didn’t really seem motivated to do anything about it. -Kevin Harlan’s radio call of said fan was the stuff of legends. -Fox’s Dieter Kurtenbach posted the audio of the Harlan call synced with the ESPN feed onto Twitter for the world to enjoy. And here is the transcription of what is maybe our favorite call of 2016 thus far. “Hey somebody has run out on the field! Some goofball in a hat, and a red shirt! Now he takes off the shirt! He’s running down the middle by the 50! He’s at the 30! He’s bare-chested, banging his chest! Now he runs the opposite way! He runs to the 50! He runs to the 40! The guy is drunk, but there he goes! The 20! They’re chasing him; they’re not gonna get him! Waving his arms! Bare-chested! Somebody stop that man! Oh they got him; they’re coming from the left! Oh and they tackle him at the 40-yard line! Thank you Kevin Harlan. You’re a good man and a good announcer and you made this awful game (as evidenced below) somewhat tolerable.